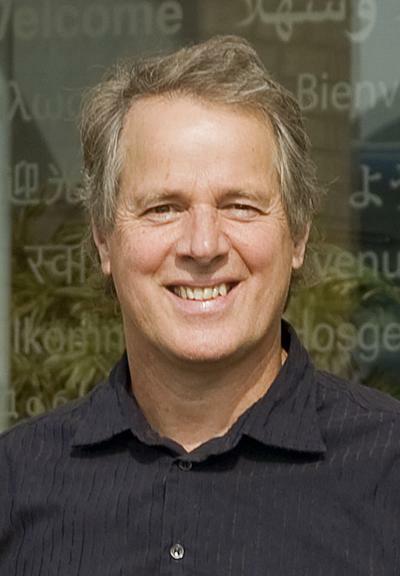 Professor Ian Croudace is Emeritus Professor of Environmental Radioactivity and Geochemistry within Ocean and Earth Science, National Oceanography Centre Southampton at the University of Southampton. He is also Director of GAU-Radioanalytical. Fellow of the Royal Society of Chemistry. Ian Croudace is a specialist in several branches of analytical geochemistry including X-ray fluorescence spectrometry, gamma ray spectrometry and radioanalytical chemistry and has published more than 150 papers in the international geochemical and chemical literature. He has supervised 28 PhD students on topics relating to environmental radioactivity and environmental geochemistry. He also has a strong interest in enterprise and has co-developed instruments that are widely used in both the nuclear sector and academic research. One instrument has become the industry standard instrument for extracting tritium and C-14 from nuclear and related materials while another is the prototype to the world’s leading micro-XRF core scanner. This instrument was developed with NOC colleague Guy Rothwell in 2000 using partial funding obtained from the UK-OST and partnering with Swedish company Cox Analytical Systems. The world's first Itrax core scanner, based at NOCS, arrived in 2003. Environmental geochemistry, environmental radioactivity and forensic geochemistry. I collaborate with other groups, nationally and internationally, examining the timing of natural and anthropogenic events (extreme events, radioactive and heavy metal pollution records) in estuarine, coastal, terrestrial and lacustrine environments. Micro-XRF analysis sediment (Springer DPER Series, No 17). Features papers on the use of micro-XRF sediment core scanners in paleoenvironmental research. The book presents a broad ranging view of instrument capability and points to future developments that will help contribute to higher precision elemental data and faster core analysis. It broadens understanding of an increasingly used analytical technique that has revolutionised the capability to extract high-resolution paleoenvironmental data from sediment archives. Radioanalytical developments: The Geosciences Advisory Unit (GAU-Radioanalytical Laboratories) is the research and consultancy organisation set up to deliver specialised analytical and radioanalytical services to the nuclear sector. It supports the complex needs of waste characterisation for nuclear decomissioning programmes in the UK and Europe. It also promotes novel research through industry-funded PhD projects. STARS-of-Europe WINNER: SecurEAU was an EU-FP7-SEC project aimed at developing rapid off-line methods for identification of radionuclides in drinking water networks following a deliberate contamination event by a CBRN assault. The project included a PhD project studying radionuclide interactions with biofilms. In 2013 the SecurEAU project was a recipient of a Stars-of-Europe award. Croudace, I. W., & Rothwell, R. G. (2010). Micro-XRF sediment core scanners: important new tools for the environmental and earth sciences. Spectroscopy Europe, 22, 6-13. Morris, J. E., Warwick, P. E., Croudace, I. W., & Howard, A. G. (2004). Tritium accumulation in salt marsh sediments from the Severn Estuary, UK (abstract of poster presented at AGU 2004 Joint Assembly, 17-21 May 2004, Montreal, Canada). EOS: Transactions American Geophysical Union, 85(17, Supplement), JA152. Haslett, S. K., Cundy, A. B., Davies, C. F. C., Powell, E. S., & Croudace, I. W. (2003). Salt marsh sedimentation over the past c. 120 years along the west Cotentin coast of Normandy (France): relationship to sea-level rise and sediment supply. Journal of Coastal Research, 19(3), 609-620. Haslett, A. K., Cundy, A. B., Davies, C. F. C., Powell, E., & Croudace, I. W. (2003). Saltmarsh sedimentation over the past c.120 year along the west Cotentin coast of Normandy (France): relationship to sea-level rise and sediment supply. Journal of Coastal Research, 19(3), 609-620. Cundy, A. B., Croudace, I. W., Warwick, P. E., & Oh, J. S. (2002). Geochemical and hydrodynamic controls on the accumulation of nuclear reprocessing wastes in coastal sediments. Geochimica et Cosmochimica Acta, 66(15A), p.A160. Taylor, R. N., Warneke, T., Croudace, I. W., Milton, J. A., & Warwick, P. E. (2002). Plutonium and uranium isotope ratio measurement by MC-ICP-MS (abstract of paper presented at 12th Annual V.M. Goldschmidt Conference, Davos, Switzerland, August 18-23, 2002). Geochimica et Cosmochimica Acta, 66(15A), p.A766. Warwick, P. E., Croudace, I. W., Howard, A. G., Cundy, A. B., & Morris, J. (2002). Spatial and temporal variation of tritium activities in coastal marine sediments of the Severn Estuary (abstract of paper presented at 12th Annual V.M. Goldschmidt Conference, Davos, Switzerland, August 18-23, 2002). Geochimica et Cosmochimica Acta, 66(15A Supplement), p.A823. Casford, J. S. L., Abu-Zied, R., Rohling, E. J., Cooke, S., Croudace, I., & Thomson, J. (2001). Mediterranean climate variability during the Holocene. Mediterranean Marine Science, 2(1), 45-55. Mercone, D., Thomson, J., Croudace, I. W., Siani, G., Paterne, M., & Troelstra, S. (2000). Duration of S1, the most recent sapropel in the eastern Mediterranean Sea, as indicated by accelerator mass spectrometry radiocarbon and geochemical evidence. Paleoceanography, 15(3), 336-347. Croudace, I. W., & Rothwell, R. G. (Eds.) (2015). Micro-XRF Studies of Sediment Cores: Applications of a non-destructive tool for the environmental sciences. (Developments in Paleoenvironmental Research; No. 17). Dordrecht, NL: Springer. MacLachlan, S. E., Hunt, J. E., & Croudace, I. W. (2015). An Empirical Assessment of Variable Water Content and Grain-Size on X-Ray Fluorescence Core-Scanning Measurements of Deep Sea Sediments. In IW. Croudace, & R. G. Rothwell (Eds. ), Micro-XRF Studies of Sediment Cores: Applications of a non-destructive tool for the environmental sciences (pp. 173-185). (Developments in Paleoenvironmental Research; No. 17). Dordrecht, NL: Springer. Schillereff, D. N., Chiverrell, R. C., Croudace, I. W., & Boyle, J. F. (2015). An Inter-comparison of µXRF Scanning Analytical Methods for Lake Sediments. In IW. Croudace, & R. G. Rothwell (Eds. ), Micro-XRF Studies of Sediment Cores: Applications of a non-destructive tool for the environmental sciences (pp. 583-600). (Developments in Paleoenvironmental Research; No. 17). Dordrecht, NL: Springer. Hunt, J. E., Wynn, R. B., & Croudace, I. W. (2015). Identification, Correlation and Origin of Multistage Landslide Events in Volcaniclastic Turbidites in the Moroccan Turbidite System. In IW. Croudace, & R. G. Rothwell (Eds. ), Micro-XRF Studies of Sediment Cores: Applications of a non-destructive tool for the environmental sciences (pp. 147-172). (Developments in Paleoenvironmental Research; No. 17). Dordrecht, NL: Springer. Gadd, P., Heijnis, H., Chague-Goff, C., Zawadzki, A., Fierro, D., Atahan, P., ... Goralewski, J. (2015). ITRAX Core Scanner Capabilities Combined with Other Geochemical and Radiochemical Techniques to Evaluate Environmental Changes in a Local Catchment, South Sydney, NSW, Australia. In IW. Croudace, & R. G. Rothwell (Eds. ), Micro-XRF Studies of Sediment Cores: Applications of a non-destructive tool for the environmental sciences (pp. 442-455). (Developments in Paleoenvironmental Research; No. 17). Dordrecht, NL: Springer. Rothwell, R. G., & Croudace, I. W. (2015). Micro-XRF studies of sediment cores: A perspective on capability and application in the environmental sciences. In IW. Croudace, & R. G. Rothwell (Eds. ), Micro-XRF Studies of Sediment Cores: Applications of a non-destructive tool for the environmental sciences (pp. 1-21). (Developments in Paleoenvironmental Research; No. 17). Dordrecht, NL: Springer. Weltje, G. J., Bloemsma, M. R., Tjallingii, R., Heslop, D., Rohl, U., & Croudace, I. W. (2015). Prediction of Geochemical Composition from XRF Core Scanner Data: A New Multivariate Approach Including Automatic Selection of Calibration Samples and Quantification of Uncertainties. In IW. Croudace, & R. G. Rothwell (Eds. ), Micro-XRF Studies of Sediment Cores: Applications of a non-destructive tool for the environmental sciences (pp. 507-534). (Developments in Paleoenvironmental Research; No. 17). Dordrecht, NL: Springer. Hunt, J. E., Croudace, I. W., & MacLachlan, S. E. (2015). Use of calibrated ITRAX XRF data in determining geochemistry and provenance in Agadir Basin, Northwest African Passive Margin. In IW. Croudace, & R. G. Rothwell (Eds. ), Micro-XRF Studies of Sediment Cores: Applications of a non-destructive tool for the environmental sciences (pp. 127-146). (Developments in Paleoenvironmental Research; No. 17). Dordrecht, NL: Springer. Croudace, I. W., Romano, E., Ausili, A., Bergamin, L., & Rothwell, R. G. (2015). X-Ray Core Scanners as an Environmental Forensics Tool: A Case Study of Polluted Harbour Sediment (Augusta Bay, Sicily). In IW. Croudace, & R. G. Rothwell (Eds. ), Micro-XRF Studies of Sediment Cores: Applications of a non-destructive tool for the environmental sciences (pp. 393-421). (Developments in Paleoenvironmental Research; No. 17). Dordrecht, NL: Springer. Warwick, P. E., & Croudace, I. W. (2003). Measurement of gross alpha and beta activities in acid leachates using alpha-beta discriminating liquid scintillation counting. In S. Mobius (Ed. ), LSC 2001: Advances in Liquid Scintillation Spectrometry (pp. 75-82). Tucson AZ, USA: University of Arizona Press. Rohling, E. J., Casford, J., Abu-Zied, R., Cooke, S., Mercone, D., Thomson, J., ... Wefer, G. (2002). Rapid Holocene climate changes in the eastern Mediterranean. In F. Hassan (Ed. ), Droughts, Food and Culture: Ecological Change and Food Security in Africa's Later Prehistory (pp. 35-46). London, UK: Kluwer Academic/Plenum Publishers. Taylor, R. N., Lapierre, H., Vidal, P., Nesbitt, R. W., & Croudace, I. W. (1992). Igneous geochemistry and petrogenesis of the Izu-Bonin Forearc Basin. In B. Taylor, & K. Fujioka (Eds. ), Proceeding of the Ocean Drilling Program Scienllfic Results, Vol. 126 (pp. 311-316). College Station, TX, US: Texas A & M University Ocean Drilling Program. Amon, D., Glover, A. G., Wiklund, H., Linse, K., Dahlgren, T., Croudace, I., & Copley, J. T. (2012). Taphonomy in action: a natural whale fall from the Antarctic deep-sea. Natural History Museum Student Conference, United Kingdom. Agnew, K., Purdie, P., Cundy, A. B., Hopkinson, L., Croudace, I. W., & Warwick, P. E. F. (2009). Development and implementation of a low-cost ex-situ soil clean-up method for actinide removal at the AWE Aldermaston site, U.K. In Proceedings of the 2009 Waste Management Symposium “Waste Management for the Nuclear Renaissance (pp. 17p). Red Hook, US: Curran Associates for WM Symposia. Chavagnac, V., Font, L., Milton, A., & Croudace, I. W. (2006). Data report: Geochemical analysis of hydrothermally altered sediments from the convergent Costa Rican margin. In J. D. Morris, H. W. Villinger, & A. Klaus (Eds. ), Proceedings of the Ocean Drilling Program, Scientific Results. Vol. 205. Covering Leg 205 of the cruises of the drilling vessel "Joides Resolution", Victoria, Canada, to Balboa, Panama, Sites 1253-1255, 2 September-6 November 2002 (pp. 16pp). College Station TX, USA: Texas A & M University Ocean Drilling Program (CDROM). Croudace, I. W., Warneke, T., Warwick, P. E., Taylor, R. N., & Milton, J. A. (2003). High precision Pu isotope ratio measurements using MC-ICPMS. In P. Warwick (Ed. ), Environmental Radiochemical Analysis II. Proceedings of the 9th International Symposium on..., Maidstone, Kent, 18-20 September 2002 (pp. 104-112). (Royal Society of Chemistry Special Publication; No. 291). Cambridge, UK: Royal Society of Chemistry. Warwick, P. E., & Croudace, I. W. (2003). Separation of iron-55/59 from fission and activation products using a di-isobutylketone-based extraction chromatographic materials. In P. Warwick (Ed. ), Environmental Radiochemical Analysis II. Proceedings of the 9th International Symposium on..., Maidstone, Kent, 18-20 September 2002 (pp. 8-16). (Royal Society of Chemistry Special Publication; No. 291). Cambridge, UK: Royal Society of Chemistry. Warwick, P. E., Croudace, I. W., Howard, A. G., Cundy, A. B., & Morris, J. (2003). Spatial and temporal variation of tritium activities in coastal marine sediments of the Severn Estuary (UK). In P. Warwick (Ed. ), Environmental Radiochemical Analysis II. Proceedings of the 9th International Symposium on..., Maidstone, Kent, 18-20 September 2002 (pp. 92-103). (Royal Society of Chemistry Special Publication; No. 291). Cambridge, UK: Royal Society of Chemistry. Bahaj, A. S., James, P. A. B., Moeschler, F. D., Croudace, I. W., & Warwick, P. E. (1997). Continuous radionuclide recovery from wastewater using magnetotactic bacteria. Paper presented at International Conference on Magnetism, Australia. Bahaj, A. S., Croudace, I. W., & James, P. A. B. (1994). Treatment of heavy metal contaminants using magnetotactic bacteria. In IEEE Transactions on Magnetics (pp. 4707-4709). IEEE. Croudace, I. W., Warwick, P. E., & Food Standards Agency (2009). Organically-bound tritium (OBT) dispersion and accumulation in Severn Estuary sediments. Contract RP01034: report to the Food Standards Agency. London, GB: Food Standards Agency.